C.N. Ramachandran Nair And P.S. Gopinathan, JJ. C.N. Ramachandran Nair, J. – This is an appeal filed by the department against order of the Tribunal holding that assessee is entitled to deduction of substantial amount paid towards interest on borrowed funds utilised for acquisition of shares in a company of which assessee acquired controlling interest of up to 90 per cent in the course of ten years. We have heard Senior Standing Counsel appearing for the department and Adv. Sri Harisankar V. Menon appearing for the respondent-assessee. 2. Assessee was running a business as proprietrix engaged in trading of goods. During the previous year relevant for the assessment year 2001-02 (wrongly written in the original order, Annexure-C, as 2002-03, which was corrected by the Tribunal through Annexure-D order) the assessee paid an interest of Rs. 17,44,310 towards interest at 24 per cent p.a. on funds borrowed for purchase of shares in a company by name Homefit Leasing Limited. The assessee’s case was that the company in which assessee made investments through acquisition of shares was engaged in leasing of household articles and assessee as proprietrix of the business sold such articles to the said leasing company. The said company was registered in 1991 and assessee started acquiring shares ever since formation and by the year ending 31-3-2001, assessee has acquired 90 per cent shares. The assessee’s claim was that the acquisition of shares with borrowed funds was for the purpose of controlling the company which was engaged in leasing business. Since the borrowed funds were utilised for acquisition of shares of the company under the control of the assessee, assessee contended that the utilisation of borrowed funds was for business purpose entitling her for deduction of interest under section 36(1)(iii) of the Income-tax Act. The Assessing Officer, however, held that the assessee made investments by utilising borrowed funds in the form of acquisition of shares in the company and the only benefit assessee got was dividend income. In fact, during the previous year relevant for the assessment year assessee had received a dividend income of Rs. 3 lakhs from the very same leasing company in which she made investments in the form of shares. 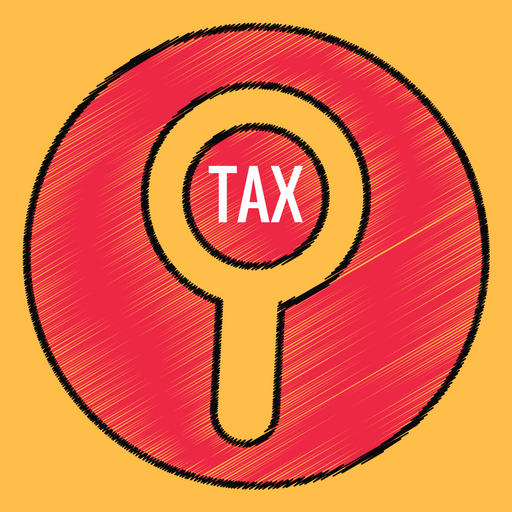 Since section 14A of the Income-tax Act bars any deduction pertaining to any expenditure incurred by the assessee for earning any income which do not form part of the total income, the Assessing Officer disallowed the claim of interest of Rs. 17,44,310 which is the total interest paid by the assessee during the accounting year for the funds borrowed for the acquisition of shares in the leasing company. First appeal was dismissed confirming assessment, against which assessee preferred second appeal before the Tribunal. The Tribunal by relying on decision of the Supreme Court in S.A. Builders Ltd. v. CIT  288 ITR 11 and the decision of the Calcutta High Court in CIT v. Rajeeva Lochan Kanoria  208 ITR 616 2, substantially allowed the claim, but made a disallowance of Rs. 2 lakhs being the interest stated to be attributable to the dividend income of Rs. 3 lakhs earned by the assessee from the leasing company during the previous year. Against this order, revenue has preferred this appeal. 3. Senior counsel appearing for the revenue contended that the decision of the Calcutta High Court has no application because the Calcutta High Court only held that borrowed funds used for incurring capital expenditure in business is also an allowable deduction under section 36(1)(iii) of the Act. However, the said decision was rendered in the context of assessments for 1982-83 and 1983-84 when section 14A was not in the statute. So far as the applicability of decision of the Supreme Court in S.A Builders Ltd.’s case (supra) is concerned, Senior counsel relied on Division Bench judgment of this court in CIT v. Popular Vehicles & Services Ltd.  189 Taxman 14 wherein this court distinguished the decision of the Supreme Court and held that borrowed funds used for advancing interest free loans to a partnership firm of which assessee was a partner, was not an allowable deduction. Counsel appearing for the assessee on the other hand contended that assessee’s business was inextricably linked with the business of the leasing company inasmuch as the items sold by the assessee to the company only were leased out by that company to earn business income at the hands of the company. Since financial stability of the company was required to promote its business which in turn helps the assessee to do her business, the funds advanced were for business purpose and the decision of the Supreme Court referred to above is squarely applicable is the argument of the assessee. 4. On facts we find that the interest paid by the assessee during the previous year for the funds borrowed for acquisition of shares in the company was at the rate of 24 per cent p.a. and the total interest paid in the accounting year alone is as much as Rs. 17,44,310. It is on record that assessee had received only a dividend income of Rs. 3 lakhs and no other benefit is derived from the company for the business carried on by it. The disallowance prohibited under section 14A is expenditure incurred for earning any income which does not constitute total income of the assessee. In other words, any expenditure incurred for earning any income which is not taxable under the Act, is not an allowable expenditure. Dividend income is exempt under section 10(33) of the Income-tax Act and so much so, dividend earned by the assessee on the shares acquired by her with borrowed funds does not constitute total income in the hands of the assessee. So much so, in our view, disallowance was rightly made by the Assessing Officer. In fact, the Tribunal itself has estimated disallowance of Rs. 2 lakhs by applying section 14A. We do not know how the Tribunal can restrict the disallowance to Rs. 2 lakhs and allow balance above Rs. 15 lakhs when the whole borrowed funds were utilised by the assessee for purchase of shares in the company. In our view, the reasoning given by the Tribunal for disallowance of Rs. 2 lakhs i.e., by applying section 14A, squarely applies for the interest paid on borrowed funds because it is on record that the entire funds borrowed were utilised for acquisition of shares by the assessee in the company. In fact, in our view, assessee would be entitled to deduction of interest under section 36(1)(iii ) of the Act on borrowed funds utilised for the acquisition of shares only if shares are held as stock in trade which arises only if the assessee is engaged in trading in shares. So far as acquisition of shares is in the form of investment and the only benefit assessee derived is dividend income which is not assessable under the Act, the disallowance under section 14A is squarely attracted and the Assessing Officer, in our view, rightly disallowed the claim. As already pointed out, the Calcutta High Court decision which pertains to the period prior to introduction of section 14A, has no application. The decision of the Supreme Court also does not apply because in this case apart from investment in shares of the company, there is nothing to indicate that the assessee’s business was fully linked with the business of the leasing company or that assessee’s business is solely dependent on the business of the leasing company. In fact, the whole transaction was a total fiasco inasmuch as, as against Rs. 17,44,310 paid towards interest on borrowed funds serviced at the rate of interest of 24 per cent p.a., the dividend income received by the assessee during the previous year was a meagre sum of Rs. 3 lakhs. This only shows that the business carried on by the leasing company was not very substantial to justify the assessee’s investment through borrowed funds. Therefore, in our view, the principle of commercial expediency gone into by the Supreme Court does not apply to the facts of this case. Therefore, we hold that the Tribunal in principle rightly held that the utilisation of borrowed funds for acquisition of shares will not entitle the assessee for claiming deduction of interest paid on such borrowed funds. However, we hold that the Tribunal was not justified in allowing the claim in excess of Rs. 2 lakhs. For the same reasoning applied by the Tribunal, the assessee is not entitled to deduction of any amount towards interest paid on funds borrowed by way of fixed deposits taken for acquisition of shares in the company, which helped the assessee only to earn some dividend. Consequently we allow the appeal by reversing the order of the Tribunal and by restoring the disallowance confirmed in first appeal. This entry was posted in Section 14A and tagged 339 ITR, disallowance u/s 14A, In favour of Revenue, Kerala High Court.